Heininger Advantage SportsRack Top Tube Alternative bike accessory allows attachment of smaller and different framed bikes, like kids and women's bikes, to bicycle racks for secure storage and easy transport. Adapter connects under seat stem and handle bar stem. One Top Tube Alternative per bike. 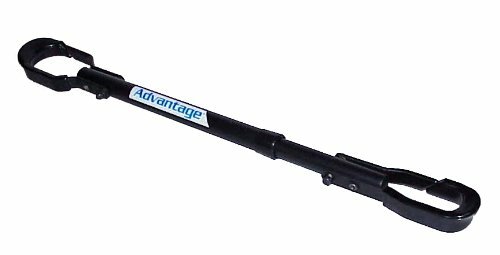 Adjust from 15.5 inch to 30 inch in length.